The Federal Aviation Administration has published long-awaited rules that loosen restrictions on commercial use of drones but don't go as far as allowing drone delivery services like those proposed by Amazon. The rules, scheduled to take effect in late August, replace temporary restrictions that have required thousands of companies to apply for special permission to use drones as part of their job. Many of the rules are similar to the temporary restrictions including the requirement that drones be kept within line of sight of the operator at all times. 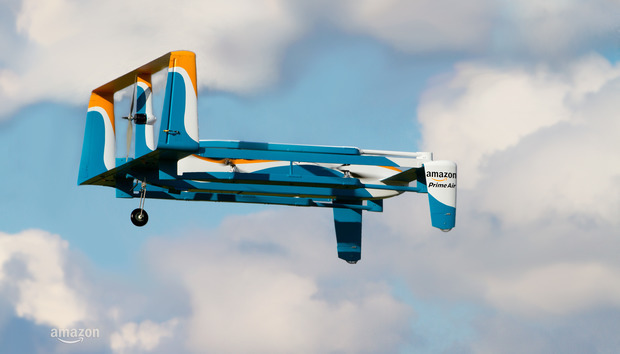 That means automated delivery services like Amazon's Prime Air will be unable to operate. Amazon did not immediately reply to a request for comment, but the company has been outspoken in the past about moving its drone research and development overseas if the FAA didn't allow operations. The line of sight requirement will also affect other promising potential applications of drones, such as inspection flights along power lines, gas pipelines and railway lines to check for problems or obstacles. Something else new: Currently, drones are restricted to daytime use but the new rules extend to twilight if the drone has anticollision lights. Other provisions remain the same: drones cannot operate over people not associated with the flight; must yield to other aircraft; and cannot fly above 400 feet. They also spell out where the drone can fly. Operations are allowed within most airspace with air traffic control clearance, but never around major airports. To operate a drone for commercial use, the FAA will require some knowledge of the rules of the sky, either through a remote pilot certificate, which is a new certification the agency is preparing, or a student private pilot's license. In contrast, hobbyists can fly drones without either of the two licenses. "While it's exciting that commercial drones are finally legal, the FAA missed an opportunity to remove many unnecessary restrictions on the use of this promising technology," said Eli Dourado, director of the Technology Policy Program at the Mercatus Center at George Mason University. 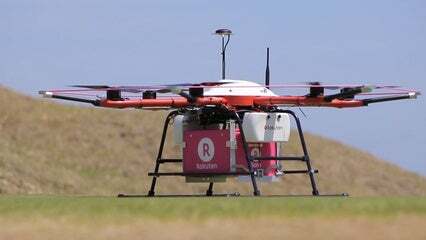 Dourado noted that the rules no longer prohibit drones carrying external loads, so limited delivery service could be attempted. But the line-of-sight requirement severely limits this. "To truly tap the full potential of this technology, more restrictions will need to be lifted," he said. Marc Scribner, a fellow at the Competitive Enterprise Institute, said he believes the FAA should have gone further in its rules, allowing freer access to the skies and leveling the playing field between hobby and commercial operators. "The FAA really seems intent on putting up a firewall between model aircraft operations and anything that could be used in a higher capacity," he said. "If a kid wants to help out a realtor and make some extra money, they’re going to find they need a remote pilot airman’s certificate to do so."